SQLi vulnerability in United Nation's (UN) Website ! SQLi vulnerability in United Nation's (UN) Website has been exposed on http://seclists.org/ . 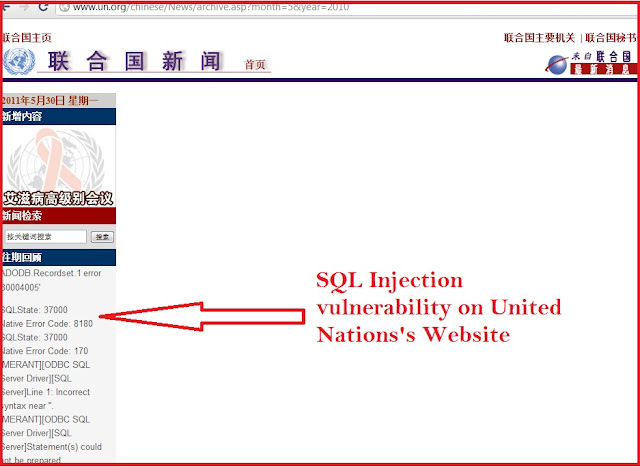 This Security flaw allow hackers to extract all Database of Chinese Part of United Nation's (UN) Website. Proof of Concept is available here.